Brittney is Associate Professor of Womens and Gender Studies and Africana Studies at Rutgers University. She is co-founder of the popular Crunk Feminist Collective blog. And she is a contributing writer for Cosmopolitan.com and a former contributor to Salon.com. Her cultural commentary has been featured on MSNBCs All In With Chris Hayes, Melissa Harris-Perry, Al Jazeeras Third Rail, the New York Times, the Washington Post, NPR, PBS, Ebony.com, Essence.com, TheRoot.com, and TED.com. Dr. Cooper is co-editor of The Crunk Feminist Collection (The Feminist Press 2017). 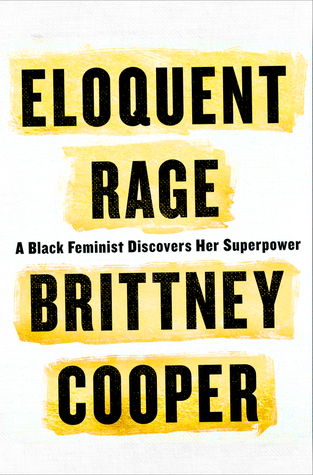 She is author of Beyond Respectability: The Intellectual Thought of Race Women (University of Illinois Press, May 2017) and Eloquent Rage: A Black Feminist Discovers Her Superpower (St. Martins, February 2018).